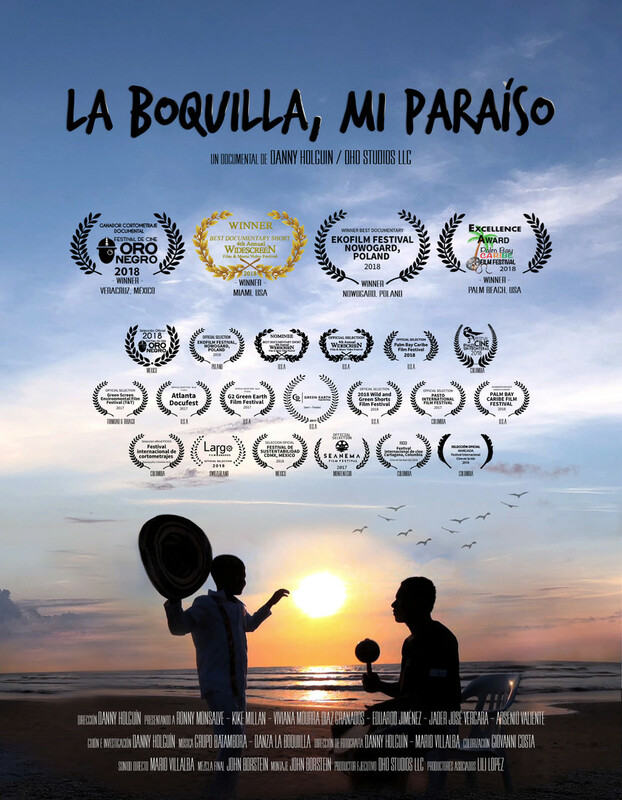 An award winning documentary portraying a global message focusing in the moving testimonies of the inhabitants of the beautiful Virgin’s Cienaga (Cienaga de la Virgen) located in the outskirts of Cartagena, Colombia, also known as “La Boquilla”. An under privileged community that survives with a strong tradition of fishing and artisan craft. The “Boquilleros”, are under a constant threat of losing their fascinating eco system due to the fast paced growth of the modern city. Ironically, their only hope of survival is by the affluence of tourists that visit their territory to enjoy tours through their mangroves, and their gastronomy. Aside from that, the “Boquilleros” rely on the assistance of the various ecological foundations that are fighting to preserve the community’s eco system through the education of the up rising generations. Even though the “Boquilleros” praise their community as being a piece of heaven or paradise, as this is all they know, the reality as seen in the eyes of outsiders is that the territory is crumbling due to poverty, trash and lack of economical resources from a government that makes empty promises. My Paradise is how the natives describe this beautiful territory located in the outskirts of Cartagena, Colombia, a fascinating Caribbean city that grows every day. The urban progress of land developers in order to expand the city’s infrastructure is aggressively affecting the natives from La Boquilla, as their main resource is fishing. The documentary explains the problematic but what captured me about the story and the people is that it contains a very important global message. La Boquilla portraits a voice that many unknown or known remote areas of the world and their people are suffering due to empty promises and lack of resources; being economical or ecological. The older natives rely on new generations and different foundations in order to keep their beautiful culture and eco system alive. The key is educating new generations about the issues of our planet, we depend on them. This short film and a foundation that I am starting are my gift to “The Boquilleros” and my gift to the world in a very simple and easy to follow world message.